Bellingham and Whatcom County, WA Homes and Real Estate, Bellingham Neighborhood specialists. We are currently the top producing team of Keller Williams Western Realty's Bellingham office and in the top 3% of Whatcom County! Laurie did a fantastic job throughout the process. I could not have had a better experience. I am so happy that I have been able to move on to the next phase of my life. I don’t think this property would have moved so fast without Laurie’s input/homework that she did on comps and where I should price it according to the market. Again, Laurie did an excellent job and I would recommend her to anyone who may need an agent. The entire team, Laurie in particular, is warm, welcoming and not pushy like a lot of Real Estate offices. We took all of Laurie’s advice to heart and applied it to our home and it had two full price + offers in 7 days – amazing for a buyer’s market in January. She is also a very perceptive and aggressive negotiator and saved us nearly $35K on the purchase of our dream home. Laurie was persevering, thorough and a great advocate for us. She took the time to get to know us and then advocated for us throughout the selling of our properties and buying our new home. I recommend her talents unequivocally. You did a great job finding us the perfect house for us in the exact location we wanted. Thank you for all your hard work! Laurie Satushek is so easy to work with, extremely warm and professional, solved problems very well. What we appreciated most about Laurie in our dealings, was her honesty, timely communications, and email/internet reports. This helped us make our decisions in selling our home. We particularly appreciated her ability to close the deal!! Every question we asked got answered promptly. We also made many request and they were done A+1. Any property we wanted researched she willingly and without hesitation did so. Laurie Satushek is a genuinely courteous and concerned person. She is both skilled and experienced, and I can’t recommend a better or more dedicated realtor. Laurie will help you when you need it, leave you alone when you don’t and you can depend on her in all respects. We had a great experience from house hunting to moving in! You made our purchase of the property less stressful from Texas. Much appreciated your patience and willingness to work in the evenings and weekends. You didn’t push us to buy and gave us ample time to decide, regardless the price of the properties we were looking at, even though you would have a higher commission on pricier properties. Thanks Kara, we like the house that we purchased and are thankful to have you represent us. 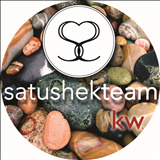 Laurie Satushek is an amazing realtor. She is thorough, conscientious and fun to work with. She took the time to educate me about the buying and selling process and helped me to zero in on exactly the right property for me to purchase. Laurie and her team make sure your selling property is very well advertised to get it the most exposure. My house was under contract in only a few days! 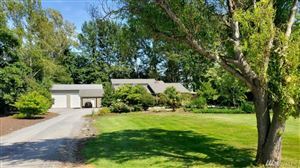 I would highly recommend Laurie Satushek to anyone who is buying or selling in Whatcom County. We first chose Laurie due to her CMA arriving at a satisfactory list price and her confidence, inspiring personality and professionalism. We particularly appreciated Laurie’s sales process with staging, photos, amazing sales brochure and CMA listings. We give Laurie a clear 10 out of 10! Laurie takes a lot of time and goes the extra mile to answer questions, address concerns, gather information and provide support whenever needed to negotiate the real-estate transaction process. We also used Laurie as our buyer’s agent and appreciated her giving the listing info immediately as it became available and she always knew what exactly we were looking for. She even went door to door to ask people if they would sell their home in the neighborhood we wanted to move to. She handled this challenging transaction for something we wanted when the initial price was too high. Laurie was able to negotiate a price that we were comfortable with, which was awesome! And here we are! Laurie Satushek is a brilliant realtor. She is passionate about her work - this is fun for her! She loves Bellingham and is a knowledgeable resource about the area. As first time homebuyers, we struck gold when we found Laurie. Having fallen in love with Bellingham on vacation, we began daydreaming of a move from Texas. After some online searching, Laurie contacted me by phone. I told her we weren't moving for a year or more, but she offered to stay in touch, and send some available properties by email once in a while. Over the next year and a half, she did just that. She'd check in with a personal note now and then. Eventually my partner began the job search process and wound up working in Seattle temporarily. While I was still living in Texas, Laurie met up with my partner and oriented her to Bellingham. A few months later I visited and we found ourselves calling Laurie (out of the blue) on the off chance she had any time to meet with us over the weekend. Laurie was AMAZING. She accommodated our crazy schedule and we met at her office the next morning. We talked about criteria, reviewed homes online and then hit the road - completely prepared and organized thanks to Laurie. She gave us a printout on each property we'd see, a clipboard and pens. It was really something - she is very thoughtful and made the process easy and fun. She is so talented and passionate; her energy kept us going all weekend. Laurie kept us focused; she is a clear communicator and was incredible to work with. With Laurie's talent, and a little luck, we found our perfect first home! She made the process so much easier than I could have expected, working with me in Texas and my partner in Seattle. Laurie surrounds herself with wonderful people and had excellent referrals for us for everything from lenders/inspectors to dinner. Like I said, we lucked out; we didn't just find a home, we found a friend (and our realtor for life). Laurie helped us purchase four residential income properties. When we first approached Laurie, she was frank in saying that the market had not yet reached bottom. We delayed looking for 18 months, which as it happens was virtually perfect timing. She did a good job narrowing the search, and then showing just the houses that met our criteria. Above all, Laurie is a cool-headed bargainer, in one case confidently recommending we offer 10% below asking price on a condominium. Our offer was accepted. We paid $92k. Four years earlier it had been sold for $145k. Laurie was quite helpful in helping us find and negotiate for our new home. Her home buying savvy got us a few advantages from the seller, and let us get a good home for a great deal. Thanks Laurie for your many hours involved in helping Beth and me move in to our new home in Everson! We looked at A LOT of houses and Laurie was EXTREMELY patient with us. We were first time homebuyers and were quite nervous about making our first offer. When we got scared by the size and needs of that house and decided to walk away, Kara helped us move on and find another house in a matter of hours! This is impressive considering that our price range put us in a very competitive area of the market... We have been in our new home for almost 3 weeks and couldn't be happier. They really took the time to get to know us and figure out the kind of home we were looking for. I can't recommend them highly enough!!! We gave Laurie a wish list and she listened to what we asked for and delivered. Very professional and worked hard to find us our dream home. We appreciated her attention to detail through the completed sale. We have used her before and would use her again or refer her to friends. Kimberly provided us with a level of service that was way above our expectations. She educated us on buying waterfront property, helped us find a place we love, guided us through the finance and purchase process, and helped us deal with all of the ‘move-in’ issues that arise. We were very well served. She was always available when needed and kept us fully informed throughout the process. Her attitude is wonderful, her energy is contagious, and her commitment to our success was evident from the very start. We recommend our realtor, Laurie Satushek most highly. She is friendly, honest, knowledgeable and efficient, in fact, everything you would want in a realtor to sell your home or find a new one. We are very appreciative of both Laurie and her support team. Like most buyers, we had a particular property in mind, and Laurie was patient and persistent in helping us find the right place and saving us money. She educated us throughout the process, responding immediately to our questions and reassuring us with her expertise. She is an excellent communicator. We felt in good hands at all times with Laurie. Laurie is the best. We could not have been happier with her skills as a negotiator, and an advocate for us as she sheparded a difficult deal through to the end. You can find great local Bellingham, WA real estate information on Localism.com Laurie Satushek is a proud member of the ActiveRain Real Estate Network, a free online community to help real estate professionals grow their business.